This year we have a castle full of zombies. It is run by the Madison Metro Jaycees and the purpose is to raise money for local charities. Just like any old castle…..Once upon a time, in a land far away, there was a curious princess named Sophia who was always getting into trouble. One day, she was walking in the castle gardens and she came across a black rose. She had never seen one before so she was very interested in it. Of course, Princess Sophia picked the rose. The black rose was cursed, and it summoned the dark knight from the underworld. The dark knight stole Princess Sophia, leaving only the black rose behind. Later in the day, when the king and queen were looking for her, they found the rose, but Sophia was gone. They immediately put out a search team. Whispers of the curse of the black rose began to fill the kingdom and all other black roses were banished. The king and queen were determined to find her but, unfortunately, they never did. Many years passed, and the king and queen were miserable. They began believing that anyone, even the kitchen maid, could be their daughter. They were always wrong. Confused and distraught, they decided to open the castle to anyone who claimed to be Princess Sophia. Many young girls came to the castle knowing they were not the princess because the wealth and royalty was too alluring to pass up. And of course, with every fake Sophia, the king and queen went deeper into depression. Only the sorcerer knew that they were playing into the curse of the black rose. On the 5th anniversary of Princess Sophia’s disappearance, the king and queen called the sorcerer for help. On his advice, they decided to make a challenge that would prove whether or not any of the fair maidens were indeed Princess Sophia. The challenge? Each girl would have to touch the cursed black rose. According to the sorcerer, if the maiden was the true princess, the black rose would turn a bright pink and Sophia would return to take the throne. In the meantime, a charm would be placed on the castle, so that anyone entering, would be frozen there. Anyone with a brain would have seen right through this- there was obviously some dark magic playing there. The king and queen, however, were desperate. Only the court jester saw it for what it was, and he spoke up against this madness, but who would believe a court jester? So the madness began. The fair maidens coming to the castle had to each touch the rose, but nothing ever happened. At least nothing seemed to happen. The black rose contained another curse, a curse far worse than the original- when a person touches the rose, they slowly change into a zombie. The king and queen were so preoccupied with the loss of their daughter, that in their grief, the kingdom fell into ruins. Unruled, the sorcerer became more powerful and vicious. The sorcerer, obsessed with power, started creating grotesque animals and doing experiments on things that shouldn’t be experimented on. He filled the castle with black roses and the castle became a breeding ground for death and destruction. Now, the castle is overrun with zombies. The only thing that can restore the castle and stop the zombies is the release of Princess Sophia from the underworld. She will retake the throne and banish the sorcerer. The only way she can be brought back to normal is to make it through the castle and get to the original cursed black rose to be taken to the underworld to save her. 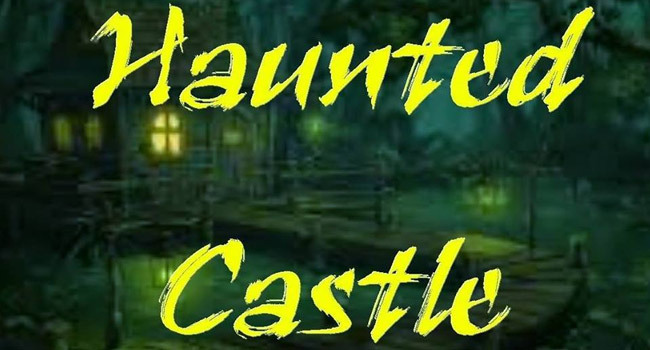 Are you brave enough to enter a castle full of zombies to find the cursed black rose? 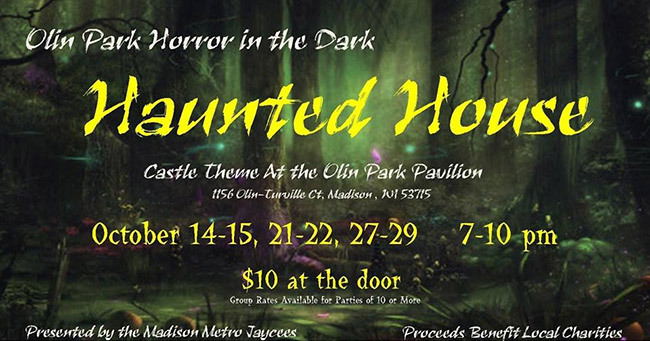 How was your experience at Olin Park Haunted House?